If you read the story of Jonah than you know that Nineveh was the most wicked city at that time. However, after Jonah reluctantly prophesied their coming destruction; Nineveh fasted and turned from their sins (repented) and cried out for God’s mercy; the most wicked city at the time was radically redeemed. If the Ninevites could be forgiven, so can that estranged family member, that co-worker, that ex-spouse, that spouse, or even our nation. All it takes is coming to God with repentant faith and saying, “God, forgive me. I’ve tried doing life my own way, but now I want to walk with you.” If God can forgive Nineveh, He can forgive an ISIS terrorist, a hardened atheist, or simply the person who believes in God but has been living life their own way. 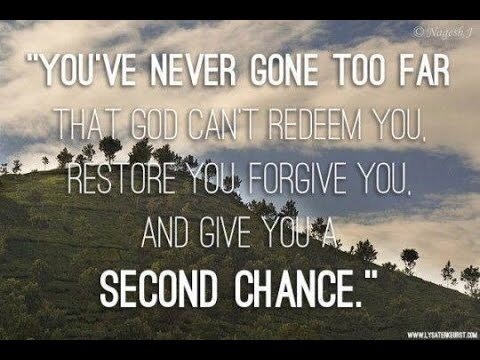 Most of all, God can even forgive YOU and me! It’s never too late; you’re never too far gone. So, claim God’s love and forgiveness in your life today! This entry was posted in Ministry and tagged faith, forgiven, forgiveness, grace, Jesus, Jonah, love, mercy, redeemed, redemption, repent, victory, wicked. Bookmark the permalink. 1 Response to NEVER TOO FAR GONE! You actually make it seem really easy with your presentation but I in finding this matter to be actually one thing that I feel I’d by no means understand. It kind of feels too complex and extremely huge for me. I’m taking a look forward for your subsequent submit, I’ll attempt to get the cling of it!